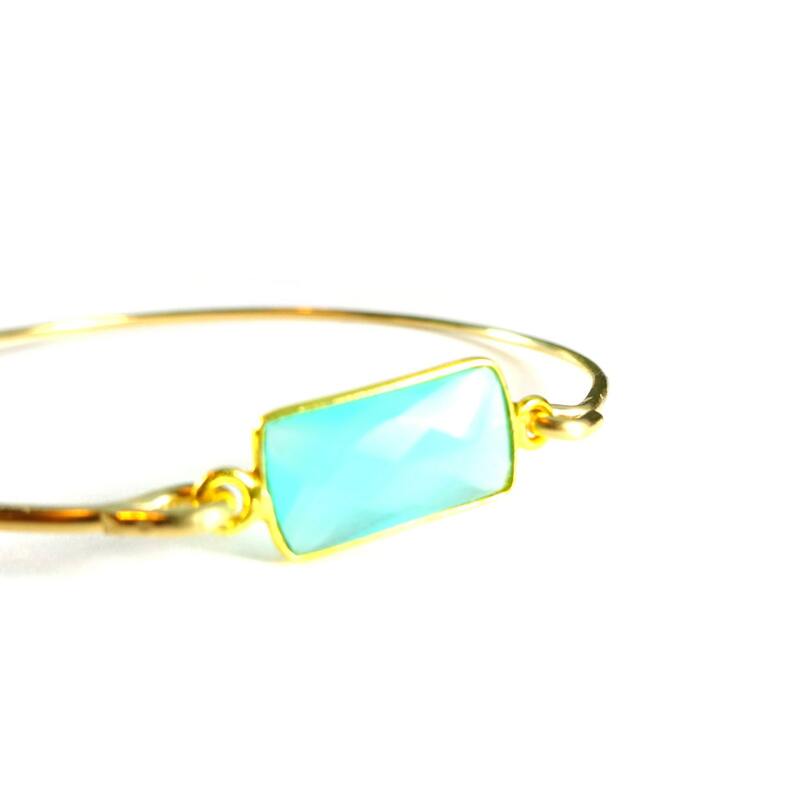 I love this emerald cut aqua chalcedony bangle! 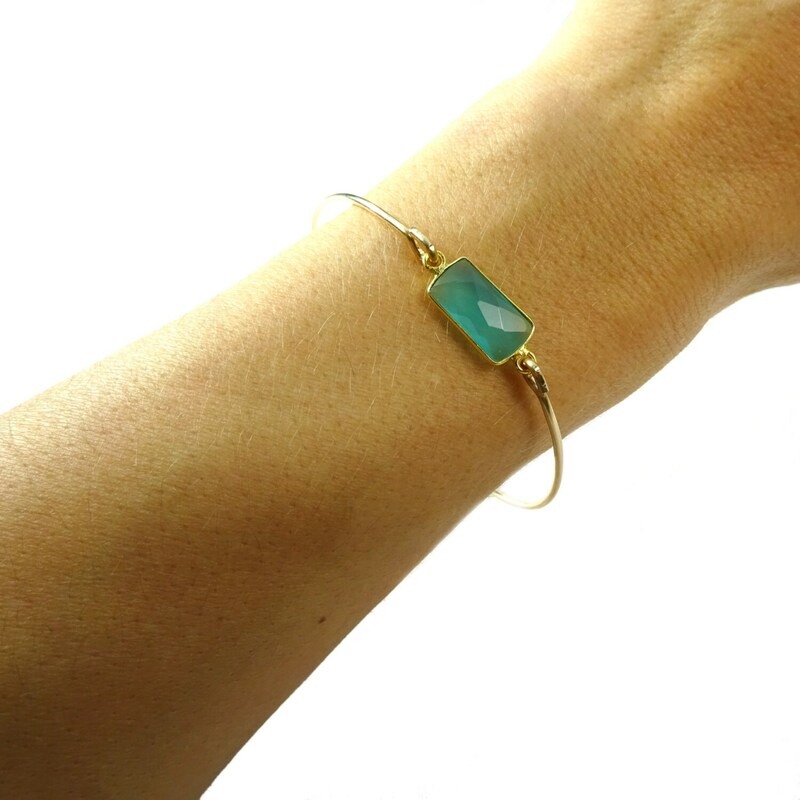 The color looks stunning with hand-molded gold-filled wire. It looks amazing alone, and even better stacked with a few other bracelets and a statement watch! 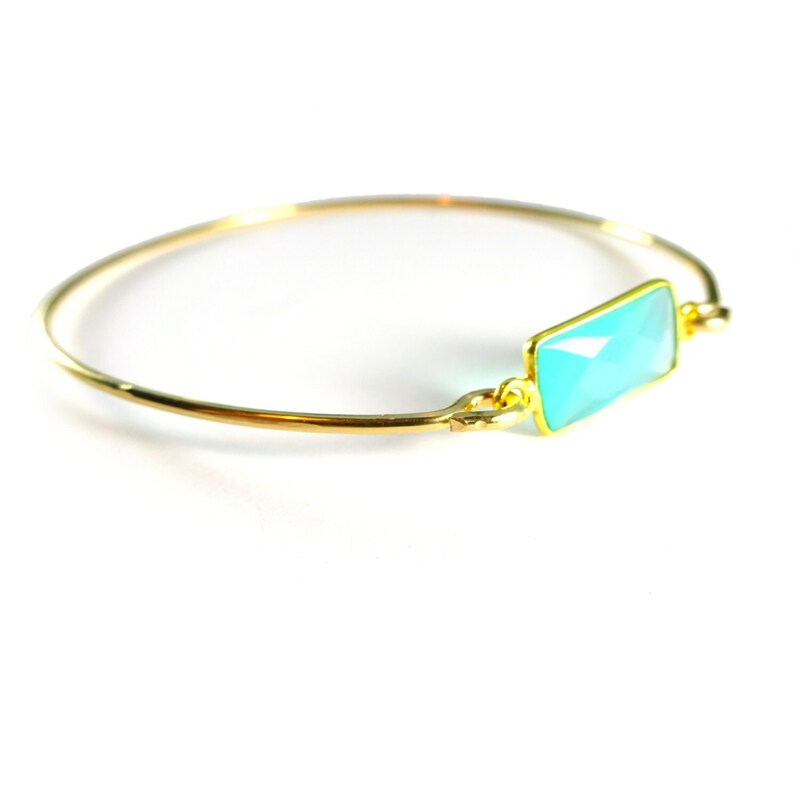 This is such a pretty bracelet! The stone is gorgeous. The shop owner worked with me to get it the exact size I needed. Thanks for your help. 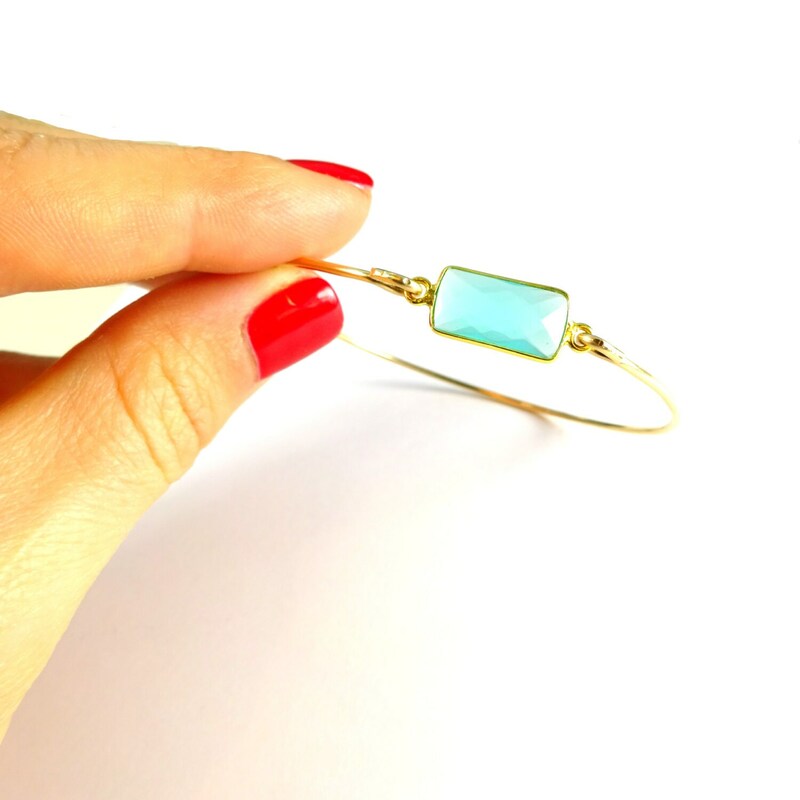 Dainty and pretty! Just as pictured. Simple, but very pretty.